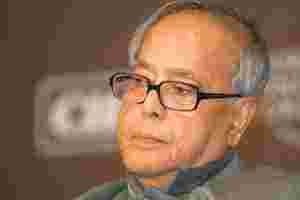 New Delhi: The Congress party-led United Progressive Alliance administration will restrict itself to selling 10% stake in profit-making state enterprises, finance minister Pranab Mukherjee told Parliament on Tuesday. “So far (as) the present mandate of the government for the five years is concerned, we are not going beyond 10%, we are not going for strategic sale," Mukherjee said in the Rajya Sabha. The minister also told the Upper House that the planned divestment of stakes in NTPC Ltd, Rural Electrification Corp. Ltd and Satluj Jal Vidyut Nigam Ltd is likely to be completed by 31 March. Mukherjee said the government has for a three-year period, beginning April, suspended rules governing the use of divestment proceeds. Typically, money from stake sales is deposited in the National Investment Fund, which is managed by three public sector fund managers. The income generated from the around Rs2,000 crore corpus is used in the government’s welfare schemes and to infuse capital into public sector enterprises. The government has now determined that even the corpus could be used for social sector schemes.